EXPERIENCE INCLUDES: SWEDISH MASSAGE (60min), POOL + MEAL. 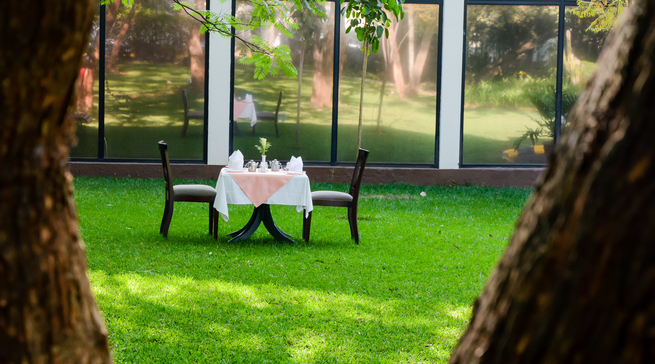 Take a peaceful spa-break right in the heart of Westlands. 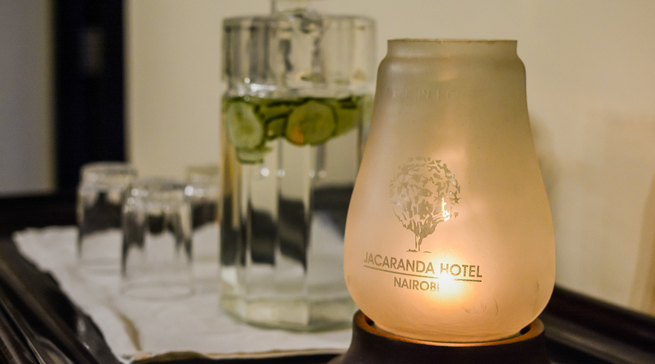 Enjoy a 60 minute swedish massage and a meal from Jacaranda Hotel's a' la carte menu (to the value of Ksh 1700). The package also includes a full day's access to the hotel and spa facilities including the swimming pool, spa relaxation area and hotel gardens. EXPERIENCE INCLUDES: SPA MANICURE + SPA PEDICURE, POOL + MEAL. Transform your grooming routine into something truly relaxing. Enjoy a spa manicure*, spa pedicure* and a meal from Jacaranda Hotel's a' la carte menu (to the value of Ksh 1700). The package also includes a full day's access to the hotel and spa facilities including the swimming pool, spa relaxation area and hotel gardens. *Gel polish removal and application not included. EXPERIENCE INCLUDES: MASSAGE (60min), POOL + MEAL. Love yourself truly, madly and deeply with this beautiful spa day at the Jacaranda Hotel. 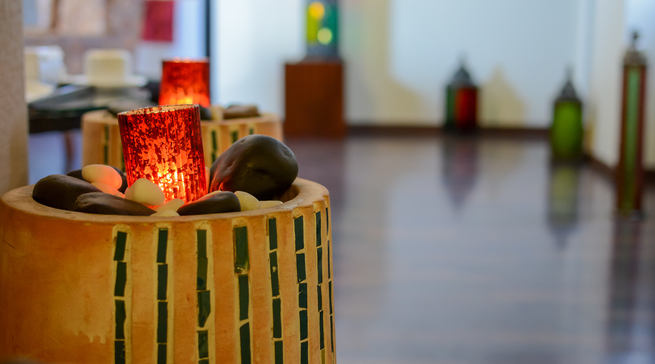 Enjoy a 60 minute massage (choose from Deep Tissue or Hot Stone) and a meal from Jacaranda Hotel's a' la carte menu (to the value of Ksh 1700). The package also includes a full day's access to the hotel and spa facilities including the swimming pool, spa relaxation area and hotel gardens. EXPERIENCE INCLUDES: BODY SCRUB + MASSAGE (75min), POOL + MEAL. Give your body the gift it deserves! 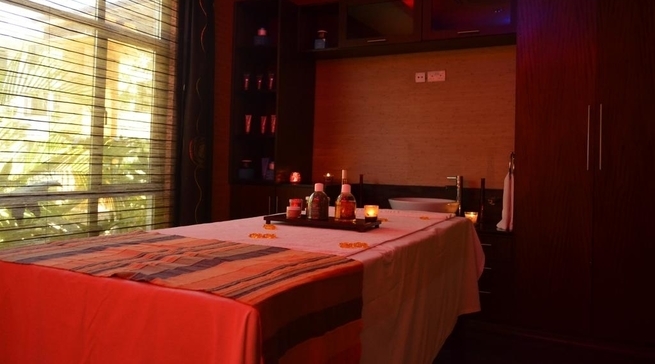 Package includes a 75 minute treatment combining a body scrub and swedish massage and a meal from Jacaranda Hotel's a' la carte menu (to the value of Ksh 1700). The package also includes a full day's access to the hotel and spa facilities including the swimming pool, spa relaxation area and hotel gardens. EXPERIENCE INCLUDES: SWEDISH MASSAGE (60min), FACIAL (60min), POOL + MEAL. Treat yourself to luxury with this comprehensive spa day package at The Jacaranda Hotel. 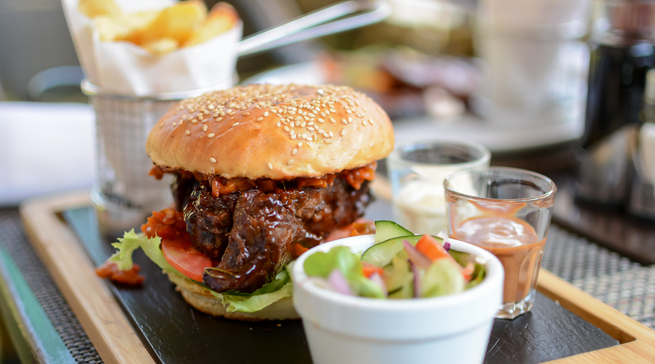 Enjoy a 60 minute swedish massage, a 60 minute 'Instant Lifting' facial and a meal from Jacaranda Hotel's a' la carte menu (to the value of Ksh 1700). The package also includes a full day's access to the hotel and spa facilities including the swimming pool, spa relaxation area and hotel gardens. EXPERIENCE INCLUDES: SWEDISH MASSAGE (60min), MEN'S FACIAL (60min), POOL + MEAL. Take the time-out you need and deserve. 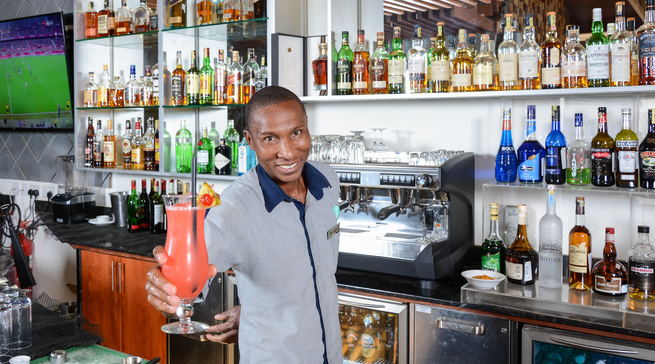 Enjoy a 60 minute swedish massage, a 60 minute gentleman's facial and a meal from Jacaranda Hotel's a' la carte menu (to the value of Ksh 1700). The package also includes a full day's access to the hotel and spa facilities including the swimming pool, spa relaxation area and hotel gardens. Guests of the Jacaranda Spa receive personalized and professional treatments designed for head-to-toe sensory revival, and the renewal of mind, body and spirit. The Spa has four spacious treatment rooms including a couples room, and a relaxation area where guests can enjoy refreshments in calm ambiance. 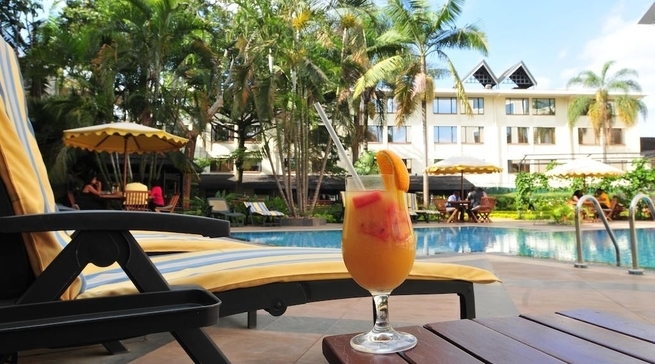 The Jacaranda Nairobi Hotel boasts a 22x8 metre swimming pool with a pool deck overlooking the beautiful gardens. 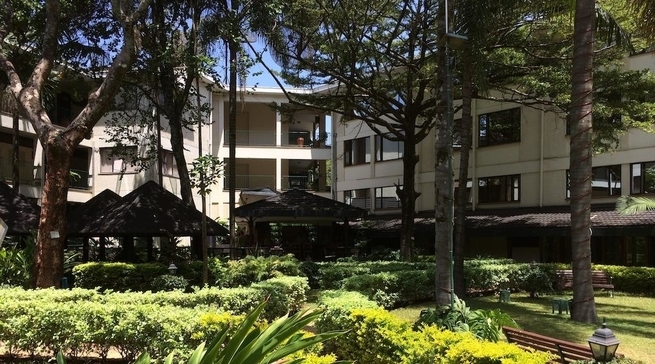 The Jacaranda Nairobi Hotel is ideally located in the heart of Westlands. 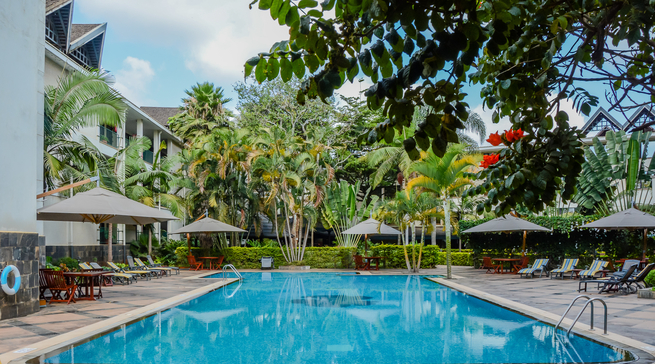 Nestled within four acres of beautifully landscaped ground and mature gardens, and surrounded by towering Jacaranda trees, the Hotel is an oasis of calm and tranquillity amidst the hustle and bustle of a thriving metropolitan city. 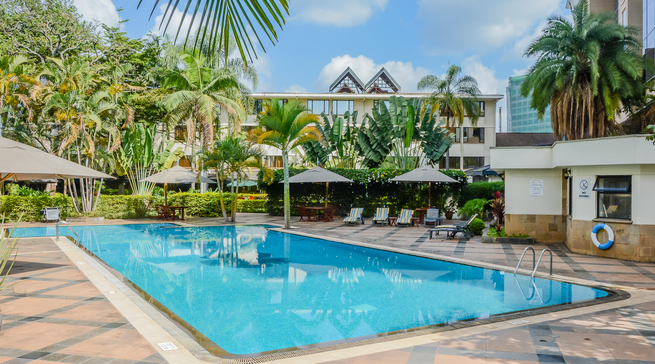 The Hotel's convenient yet serene location allows one to enjoy the charms and attractions of the city without the disturbance often associated with in an inner-city location. 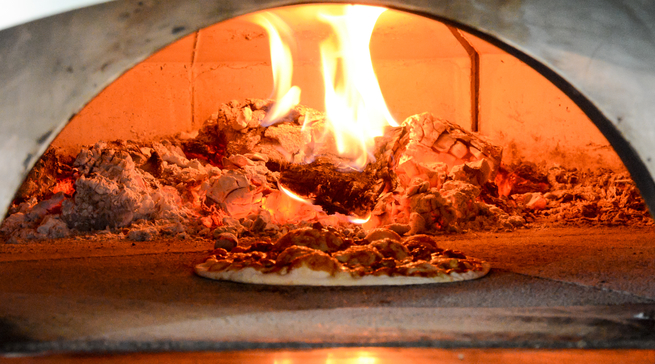 The Hotel provides a variety of eateries offering a wide range of local and international cuisines. 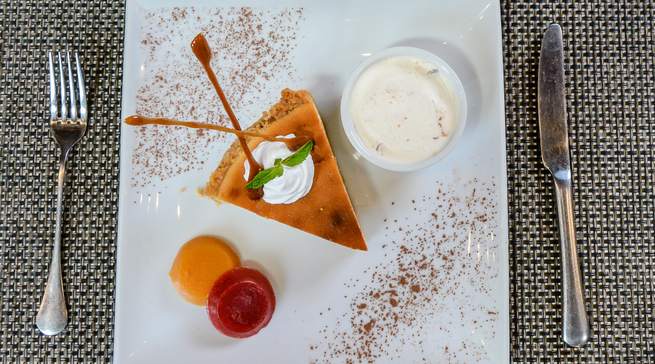 So whether you are after a relaxed poolside sundowner or an exquisite meal prepared by the Hotel's world class chefs, the Jacaranda Nairobi Hotel will satisfy your need.